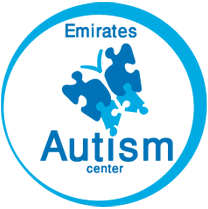 There are no genetic or medical tests that can detect autism. An experienced professional must observe the child, acquire knowledge about the child’s development and then proceed to objectively follow internationally recognized criteria for diagnosis. The center utilizes the developmental tests which demonstrate feasibility in assessing actual and potential abilities of autistic children. Psycho-educational profile (revised) PEP-R for children up to 11 years. Diagnostic statistical manual IV edition revised DSM IV issued by American Psychiatric Association in 1994. Psycho-educational profile for adolescent and adults AAPEP. The centers strongly believes in acting early as the “wait and see” method often recommended to concerned parents could lead to missed opportunities for intervention. Intervention services are offered to children of the age group 2 – 5 years where tools and skills are provided to significantly develop and impact cognitive and social skills. The center provides speech therapy services through speech pathologists who have vast experience in dealing with autistic children in order to develop expressive-receptive language abilities and communication according to an individual plan based on each child’s capabilities. Computers provide an important and effective element in the therapeutic intervention for autistic children. The mobile image in addition to the sound as auditory stimulus helps in the stimulation of visual and auditory cognitive senses. The Center’s Computer Department is an example of Corporate Social Responsibility undertaken by Abu Dhabi General Information Authority who donated the computer devices to build and develop this department. This particular room was a dream come true to the center and is the only one of its kind in the UAE. 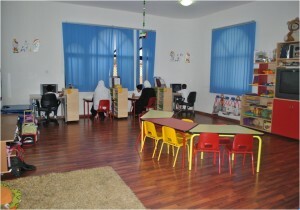 It was through the corporate social responsibility of EMAAL Company that this room was brought about. It contains the latest equipment in the field of sensory integration and focuses on developing and stimulating all the five senses which leads to remarkable improvement in behavior and cognitive perception. Physical education plays a crucial role in developing motor skills, especially the psycho-motor aspect which contributes in the development of balanced skills, neuro motor coordination, flexibility and agility. 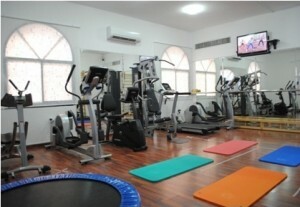 Tatweer Company for Tourism is another excellent example of Corporate Social Responsibility who donated the equipment to build the Center’s Gym. The center provides individual training services for autistic children in swimming, gymnastics, equestrian sports and skiing, recognizing that all children, whether typical or atypical, have the right to enjoy and benefit from a variety of recreational and sportive activities. Al Jazira Sports Club, Dinan, Sparky’s Family Sports Center has supported our outdoor services for several years offering valuable daily services to the center’s children and paving the way for Corporate Social Responsibility in the UAE. Emirates Autism Center is distinguished in providing the full day services to give the chance to apply individual programs inside and outside of the center through integration within society and interaction with other societal members. The center provides training and rehabilitation services to students through a variety of different work shops (leather, printing, carpets, etc.). Emirates Foundation is an excellent example of Corporate Social Responsibility who have generously donated our printing press equipment. This department aims to train children in participating in musical activities, learn and perform musical pieces and express feelings through body movement. As another step towards achieving a measure of independence, the home economics aspect exists to train children on daily activities from preparing a meal independently to learning the value of money by selling their home-made baked goods to peers and friends. The center is distinguished in providing auditory integration training services for autistic children. AIT is a sound stimulation auditory training method. It exercises the ear and allows the brain to facilitate improvement in auditory tonal processing which is demonstrated by an improvement in learning and behavior. The philosophy of counseling and family support lies in counseling families to take responsibility towards their children and teaching them how to do so through periodic meetings and orienting them with the center’s applied programs for their children.